For me that was a gratifying moment because it showed me that our children’s connection with nature is authentic. They understand there are many complicated relationships between creatures besides their own. They know that they can help and harm. They’ve learned to pay attention and notice patterns, which are skills that will serve them all their lives. Most importantly, they have enough compassion that they want to help other creatures. Before anyone ever asks our students to help the Earth, they have an opportunity to fall in love with her first. The world really needs young people to fall passionately in love with it. The heart of what we’re doing is serving children and serving the Earth. 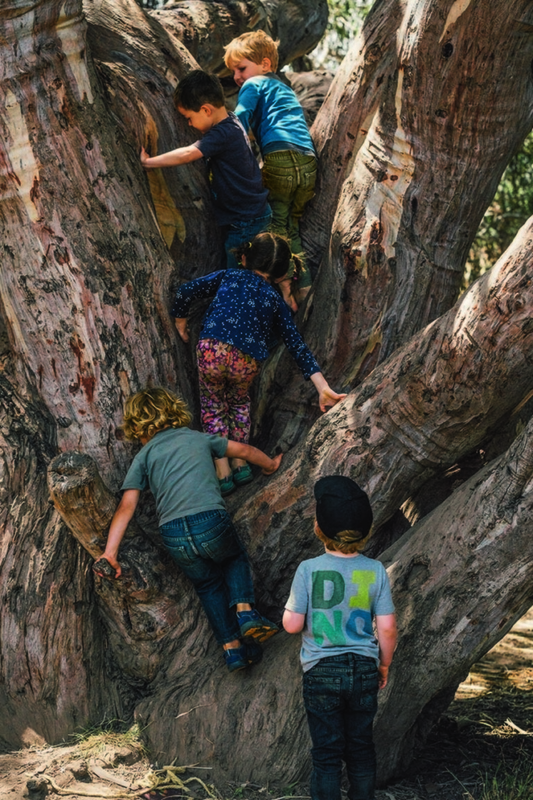 Forest Schools combine the ideas and practices put forth by learner-centered, play-based educational philosophers (think Piaget, Steiner and Vygotsky) with environmentalism. It’s supported by a growing body of research about the effects of nature on children’s well-being. 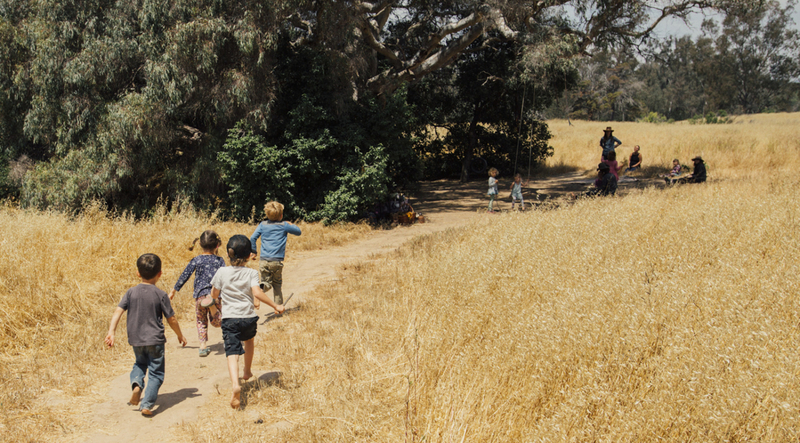 The basic idea is that nature is good for kids, and kids who are connected to nature are good for the world. 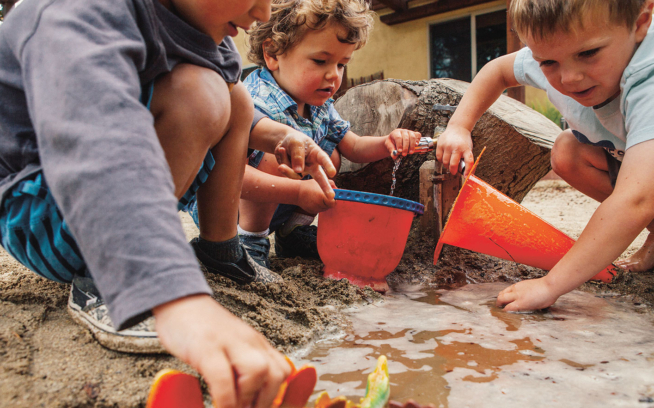 Grippo’s first preschool, founded in 1996, had a facility surrounded by wild landscapes. The longer she had the building, the more time she and her students spent outside of it. She found that children who had difficulty in the classroom didn’t outside. All around there was less conflict and more magic. Two years later, she decided to move outdoors full-time. She couldn’t get insurance because they didn’t know what to do with an outdoor school, and she had no idea that she was part of a larger movement. Not being someone who shies away from challenge, it didn’t dawn on her to be afraid. More than ever Grippo is committed to children’s right to appropriate risk, “I’ve seen a cultural shift growing that demands parents be afraid so that children aren’t able to take risks that we all took as kids. 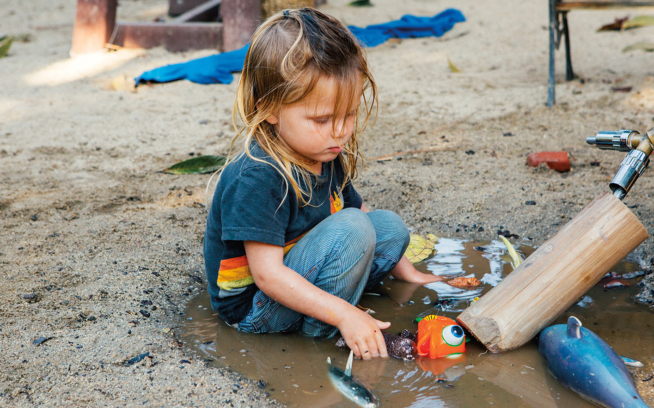 Unsupervised play, swimming in ponds and all manner of things are now deemed too dangerous.” Being outside, the school is quite public and sometimes that comes up against the fear of risk by folks in the community. 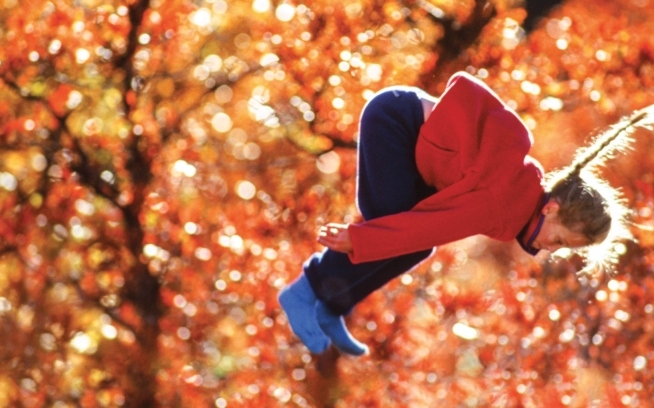 People see a child climbing a tree and get frightened. Teachers learn to form good, calm relations with the community, all the while affecting the public’s perceptions. The good news is that, despite their fears, parents are recognizing the need for quality outdoor education, and they are spearheading the movement. Lia gets emails every day from parents wanting to know if there are Forest Schools in their area. As a result, more and more are springing up. 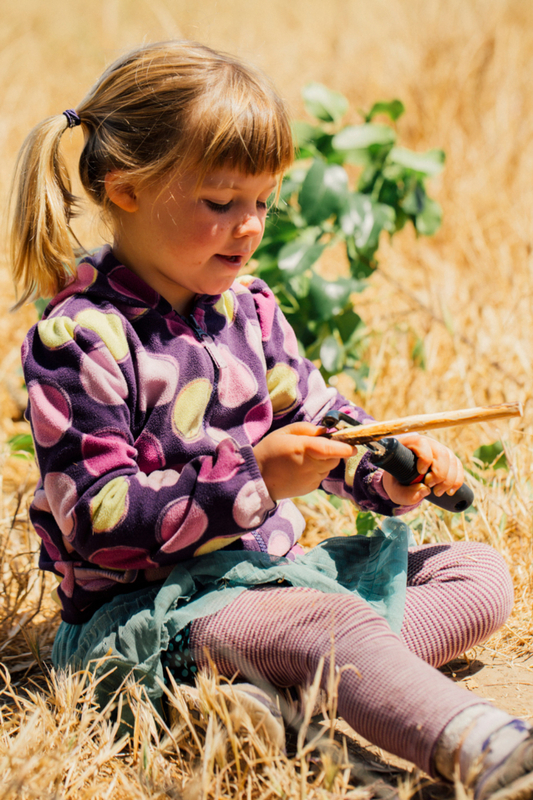 Parents seem to benefit from Forest Schools as much as children. Their kids teach them how to identify poison oak and which plants they can eat. Inevitably, Lia says, as parents see their kids thrive amidst the rocks, birds and trees, they begin to grieve their own loss of connection to nature, and they strengthen their resolve to recapture what they’ve lost. This story first appeared in the 2016 Patagonia Kids’ catalog. 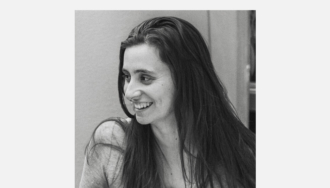 Nicole Marie has been an early childhood teacher, expert and consultant for over a decade. She took a break from working on her first novel to visit and write about the Wild Roots Forest School.